Pueblo County deputies seized 609 marijuana plants from an illegal home growing operation in the largest bust in the southern Colorado county’s history. Douglas Radosti, 47, and his wife, 52-year-old Stephanie, were arrested at their Pueblo West home, said Gayle Perez, spokeswoman for the Pueblo County Sheriff’s office. The couple’s 23-year-old son, Warren, was also arrested. Deputies received tips from the Radostis’ neighbors that there was a strong marijuana odor coming from the home and that the electrical box looked like it had been tampered with. Neighbors also noticed an increasing number of cars with out-of-state license plates coming and going from the home. Around 7 p.m. on Monday, deputies went to the home at 1473 N. Dailey Drive. There they met Douglas Radosti who said he had a medical marijuana card that allowed him to grow 18 plants. Radosti refused to let investigators enter his home to count the plants. Investigators obtained a search warrant and returned around 1 a.m. on Tuesday. Inside the home deputies found an “extensive” grow operation in several rooms in the basement, Perez said. The basement was equipped with lights, a central air-conditioning unit and other equipment used in marijuana grows. Deputies collected 609 marijuana plant roots that appeared to be recently harvested. In the garage they discovered 50 pounds of dried marijuana. Radosti told investigators that he had read a story in The Pueblo Chieftan’s Friday edition, that detailed a large bust in a different home. The story prompted Radosti to begin harvesting his plants on Sunday, Perez said. But investigators said the plants looked like they had been cut on Monday night. The family allegedly tried to get rid of the plants and hide the plant roots in black, plastic trash bags in the back yard. 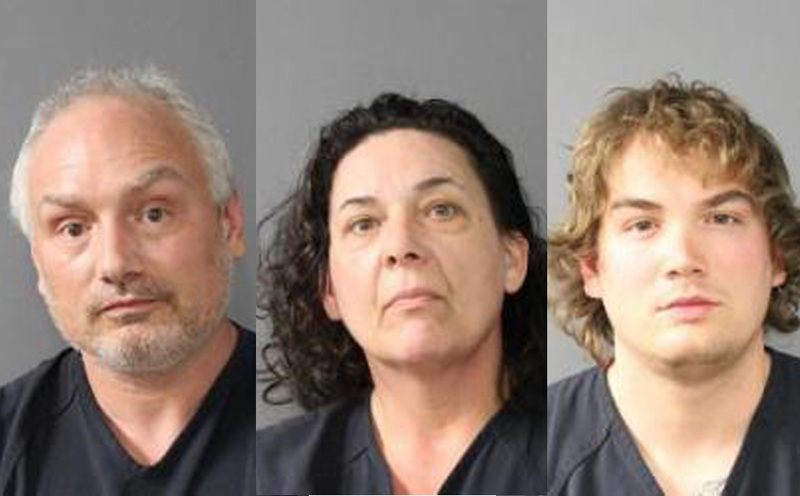 The three family members were arrested Tuesday morning on suspicion of conspiracy to distribute pot, marijuana cultivation and evidence tampering, Perez said. They were booked into the Pueblo County Jail. Since March 14, Pueblo County deputies have arrested 19 people suspected of illegally growing marijuana in homes. More than 4,300 plants have been seized. Hundreds of thousands of dollars in growing equipment and supplies have been collected from 12 homes in Pueblo County. Tuesday’s bust is part of an ongoing crackdown on illegal marijuana grows in southern Colorado. Federal and local authorities continue to focus on pot being grown inside homes across the state.